Minimal interuption of your commercial space. From a team that cares about your trees, improving your commercial property value, and safely completing your project with minimal interuption. Get Your Tree Service Quote! Tips for protecting your commercial property, making it more valuable, and hiring the right commercial tree trimming and maintenance company. A professional can advise you on the types of trees and the method of management that is suitable for your commercial area. You may not have the experience and know-how when it comes to tree species and management methods. We advise that you leave that to professionals. When choosing a professional tree trimming and removal company, you should look at several things. As noted, commercial tree services are highly technical. You need as little interruption to your commercial space as possible, while protecting the surrounding structures and people from injury and damage. The level of skill and expertise required to perform tasks is high. Ensure that your tree maintenance company has done similar commercial jobs and built a reputation for professional work. Do not just ask whether they have done such jobs; you can review the portfolio yourself. An experienced commercial tree company has a full range of equipment for every job. such prerequisites for a tree service. When offering a job to a company, explain everything that you need to be done so that they can understand the extent of the work. Let them know if you want certain timbers from the tree so that they can plan how to go about the job. In highly dangerous situations, professionals often cut the tree in small pieces that cannot produce wood. We are in the modern world where information is available online. Capitalize on that. 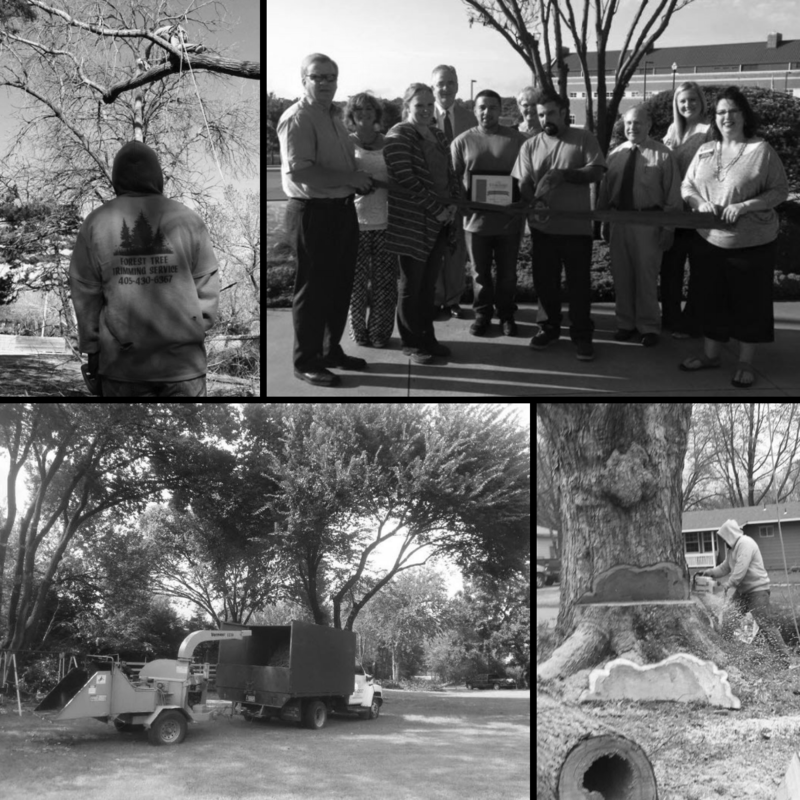 Check for referrals and commercial tree service reviews from previous Oklahoma clients. Whether it is a local provider or a regional company, they should have a portfolio of previous jobs that you can review before hiring. When you request quotes, be careful about those who quote too low or too high. The range of service and the price should be proportionate. Cheap can mean dangerous. Clients rarely read the fine print in a quote. Understand every service quoted on the contract. Be careful about liabilities in case of injuries or damages at the workplace. Professionals know what they are doing. They know the dangers associated with the job. Any attempts to do the job on your own poses a significant threat to you, your property and your loved ones. It can also expose you to liabilities. Most tree removals done by novices end up in costly destruction and liability. Tree services require a systematic approach. Even a simple branch can cause injury and property damage if you don’t know what you are doing. Any tree service should take the least amount of time possible. Allowing the job to drag on can interrupt normal operations in a commercial place. Attempting to do it yourself will be an elaborate process. First, you will need to procure the right tools and equipment for the job, which is expensive. You will also need to study techniques of how to do it. Once you arm yourself with pertinent information, you will realize that it is easy to say than to do something. Many items will require protection from trees in a commercial area. The landscaping, nearby structures, roadways, pools and such things will need care during any tree trimming or removal. Only a professional can know how to do that. Professional tree maintenance and removal companies have a plan for how to remove and preserve trees with minimal business interruption. Professional tree service companies will offer more than you can imagine. The range of services goes beyond cutting, trimming and removal. Tree replacement, maintenance, fertilizing, and cleaning to make your commercial property safe and more attractive.